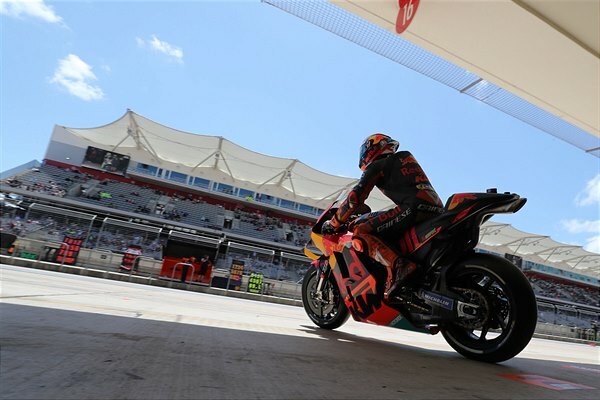 The seventh Grand Prix to occur at the long, spectacular and weaving Circuit of the Americas was initially interrupted by inclement weather on Saturday morning as heavy showers and thunderstorms brought proceedings to a halt. 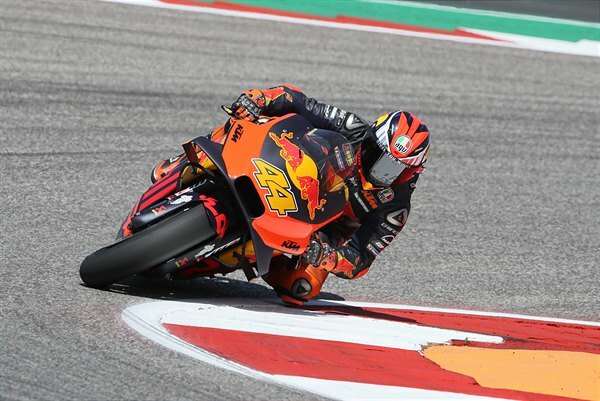 Pol Espargaro had found some speed on Friday and during the Free Practice sessions to sit 7th fastest and having hacked 2.7 second away from his previous best lap in the same track period in 2018: a remarkable rate of progression. 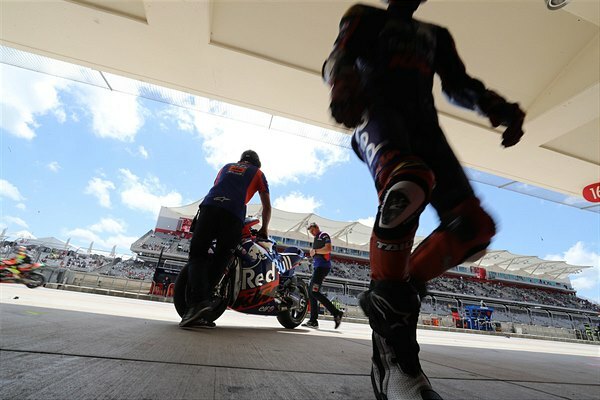 FP3 was cancelled and the riders headed into FP4 and a rapidly drying asphalt as the skies cleared. 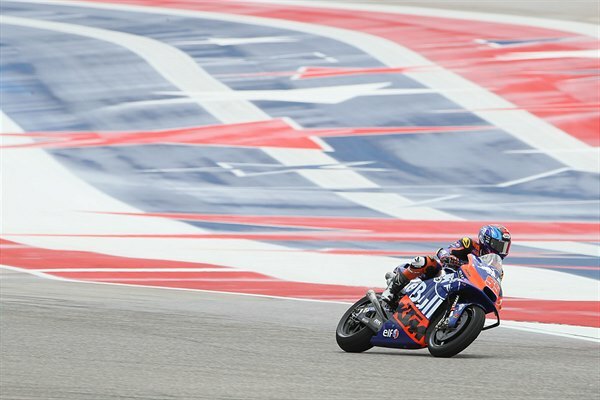 A stiff breeze helped improve the track and allowed the MotoGP riders to use slick Michelin tyres once more. 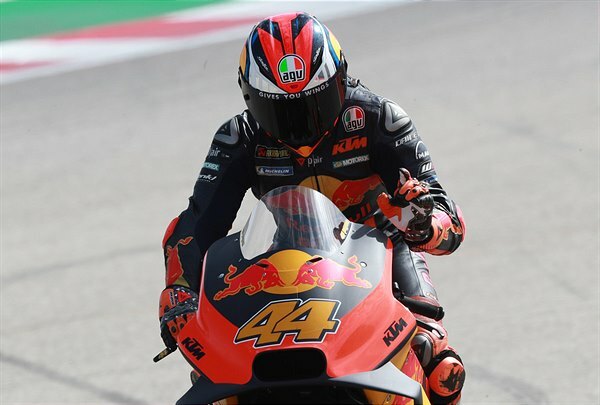 Espargaro was already classified in Q2 and with his last flying effort occupied a best-ever slot of 5th position in the belated Texan sunshine. 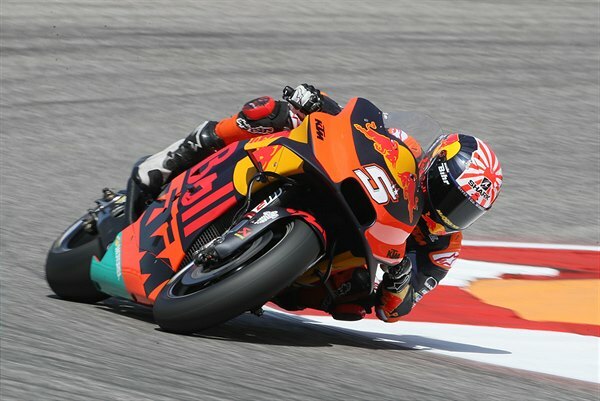 Johann Zarco set his fastest lap on the sixth circulation of the Q1 period but was just under a second away from the effort clocked by Jorge Lorenzo. 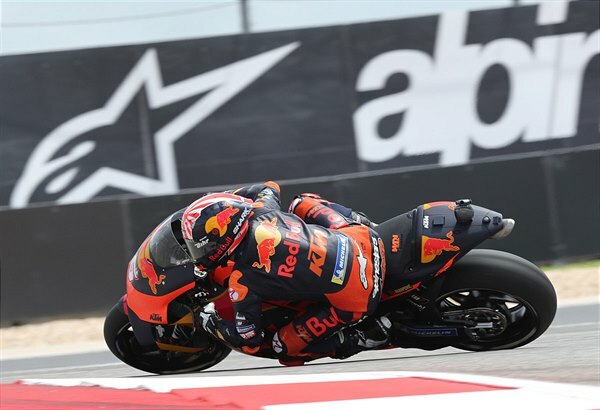 As a result the Frenchman will take 19th position on the grid with Red Bull KTM Tech3’s Miguel Oliveira just ahead in 18th and Hafizh Syahrin down in 21st. 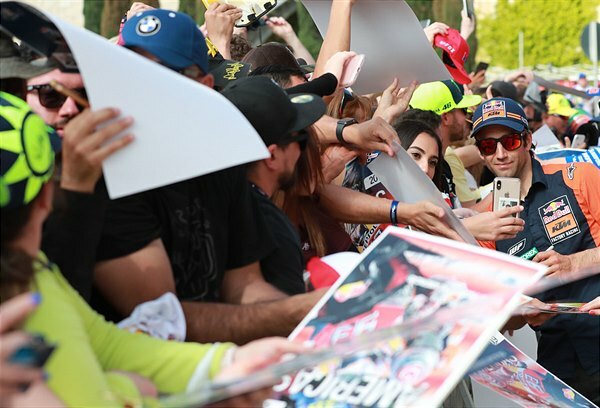 The Grand Prix will take place at 21.00 CET and with 20 laps from the red light until the chequered flag. 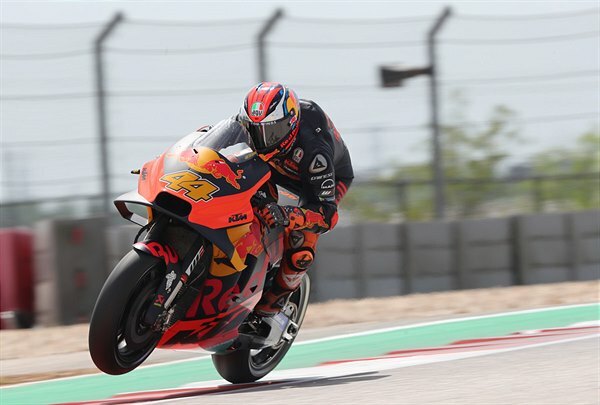 Red Bull KTM Ajo’s Brad Binder will sit in the middle of the second row of the Moto2 grid after qualifying 5th fastest and less than half a second from the Pole Position effort by Marcel Schrotter. 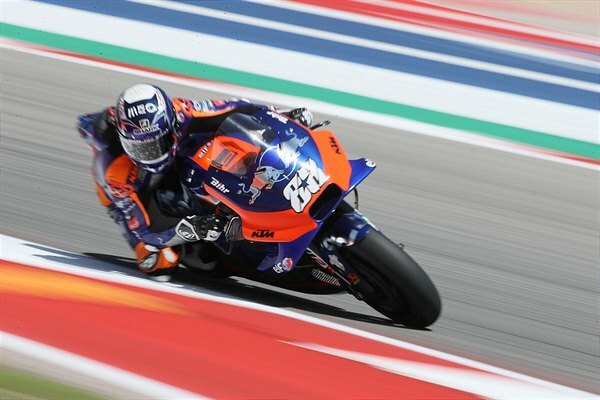 Teammate Jorge Martin made it through Q1 and slides into 8th place for tomorrow. 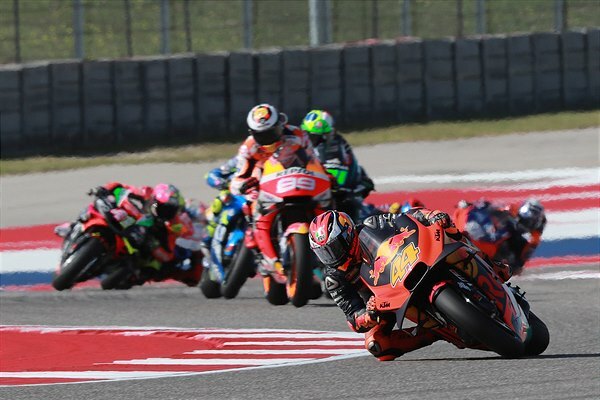 In Moto3 Raul Fernandez took his KTM to 2nd spot behind Niccolo Antonelli while three other KTMs filled slots in the top five.